If, for some reason, you're looking to grab a genuine, legal copy of Windows 7 operating system or if you want to jump on the Windows 10 bandwagon and still have the option the option to revert back to something tried and trusted, then we've rounded up the best places to get the source the most popular Windows operating system on the market. Or maybe you'd prefer to view the best Windows 10 deals? Microsoft doesn't offer a free version of Windows 7 for students or even a discounted one for that matter. The nearest thing to it would be to download Windows 2008 R2, the server variant of WIndows 7, from Dreamspark, Microsoft's dedicated student website. A word of warning: peddlers of illegal versions of Windows 7 licenses have successfully managed to position themselves high on Google's search engine result page for a vast number of keywords. Buying from them doesn't mean that you've got yourself a bargain, it means that you have landed the equivalent of a virtual paperweight. If you are in the UK and the prices are displayed in US dollars or if you notice that they offer download-only option or if the site is poorly designed, has pictures of Microsoft logos without any links and contains a fair amount of grammatical errors, then proceed at your own risk; you've been warned. The majority of counterfeited copies being sold are likely to come from Microsoft's MSDN network which usually provides developers and IT professionals with a healthy amount of free Microsoft software. The keys will activate the target Windows OS but will more than likely end up with the end-user getting a limited copy of Windows. 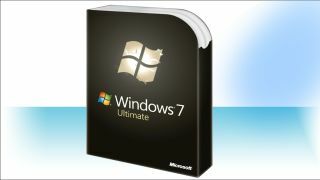 We would also urge you to avoid getting Windows 7 stickers or so-called DVD disc with COA product key. While they will definitely work on the target computers, they usually violate the terms and conditions of the original OEM; the OS is usually tied to the product it came on (i.e. when activated) and cannot be transferred. Dell re-installation Windows DVDs clearly stipulate that it can only be distributed with a new Dell PC. Not a refurbished, second hand one or a PC from a different brand. Many eBay resellers get around that by selling the disks with one piece of the original computer (usually the motherboard). This is a grey area, one where Microsoft has been reluctant to act forcefully, perhaps out of fear that it might impact negatively on the brand. While consumers will probably get away with it, businesses are always at risk of being hit with a surprise audit with heavy fines for culprits.